As its name suggests, Early Bird is a "simple yet powerful" technique that allows attackers to inject malicious code into a legitimate process before its main thread starts, and thereby avoids detection by Windows hook engines used by most anti-malware products. 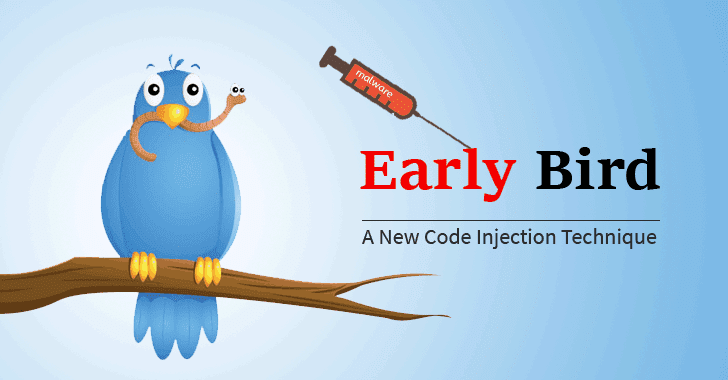 The Early Bird code injection technique "loads the malicious code in a very early stage of thread initialization, before many security products place their hooks—which allows the malware to perform its malicious actions without being detected," the researchers said. 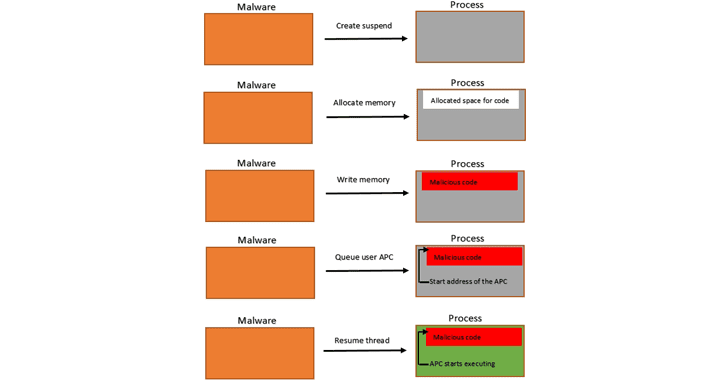 Here's a brief step-by-step explanation of how an attacker can inject malicious code into a legitimate process in a way that it gets executed earlier before an anti-malware program starts scanning. Dates back to 2012, DorBot is botnet malware distributed via links on social media, instant messaging apps or infected removable media and is used to steal users' credentials for online services, including banking services, participate in distributed denial-of-service (DDoS) attacks, send spam and deliver other malware to victims' computers.